With the temperature finally beginning to rise, it’s time to venture back onto the trails of the Humber Arboretum. The faculty conducted a free Arboretum tour last week that was hosted by environmental education assistant Ken MacGillivray. Three students and several community members attended the tour and learned about the area’s vast diversity, and how it was originally an outdoor classroom space. The nature area is a collaboration of the college, Toronto and the Toronto and Region Conservation Authority, he said. “It is a combination of outdoor classroom space, botanical garden and conservation land,” he said. The Arboretum tour was organized to connect the community with the local environment to teach students and the community about the nature in the area. “These tours can showcase new areas to people who regularly visit the Arboretum and also introduce new visitors to the property,” MacGillivray said. 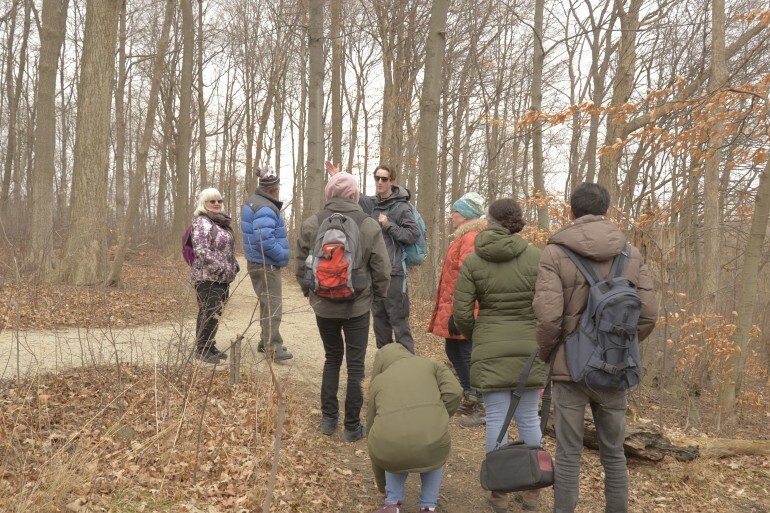 The tour comes after the Lunch and Learn: Beech, Birch or Buckeye event that was held last Monday, as they wanted to expand people’s knowledge and introduce them all the nature elements of the Arb. Throughout the tour MacGillivray would talk about the various kinds of trees and the difference between their leaves. He described the types of leaves which are found throughout the Arb, needle and maple leaves for example. Despite the tours being a new initiative, they’re already bringing in positive feedback. “While our Toursday tours are fairly new, feedback on our tours has been positive thus far,” he said.